The Reverse Mortgage for Purchase program is an age-based mortgage insured by the FHA for individuals and married couples aged 62 and older. Unlike a traditional mortgage, monthly payments are deferred and the loan balance increases over time. 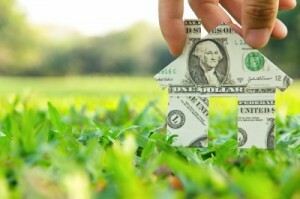 Because the loan is backed by the FHA, neither the borrower(s) nor their heirs are personally liable for the debt. So what does all that really mean? It’s actually very simple…let’s say you use a reverse mortgage to purchase your dream home and decide to move in 10 years. When you sell your home you will receive 100% of the net proceeds after paying off the loan balance at the time of the sale. This is exactly how a traditional mortgage works. The primary benefit of using a reverse mortgage for purchase comes into play during your living years in the fact that you are not paying a monthly payment to the mortgage company, thereby increasing your monthly cash flow. The secondary benefit is for your heirs. What if at the time of your passing your loan balance is greater than the value of your home — what happens? In a traditional mortgage scenario your heirs would be forced to sell the home at a loss and cover the difference. The terms of a HECM program mandates that neither you nor your heirs are personally liable to cover the difference if your home is sold for a loss. Simply put, it’s not your problem and no one is coming after your estate for a settlement. Click here for more specific details on how the Reverse Mortgage for Purchase program works.